Plano, Texas & Beverly Hills, California (April 24, 2018) – Cinemark Holdings, Inc., one of the largest and most diverse motion picture exhibitors in the world, has renewed its 3D agreement with RealD across its global platform through December, 2022. In addition, Cinemark committed to installing RealD 3D systems in all new-build theatres during the term of the extension. The announcement was jointly made today by Mark Zoradi, Cinemark’s Chief Executive Officer and RealD’s Travis Reid, President of Worldwide Cinema and Chief Operating Officer of RealD. Cinemark was an early champion of the 3D format and one of RealD’s first major customers when the company launched in 2005. Today, RealD is the world’s preeminent 3D brand. There are currently more than 3,000 RealD projection systems installed in Cinemark theatres. 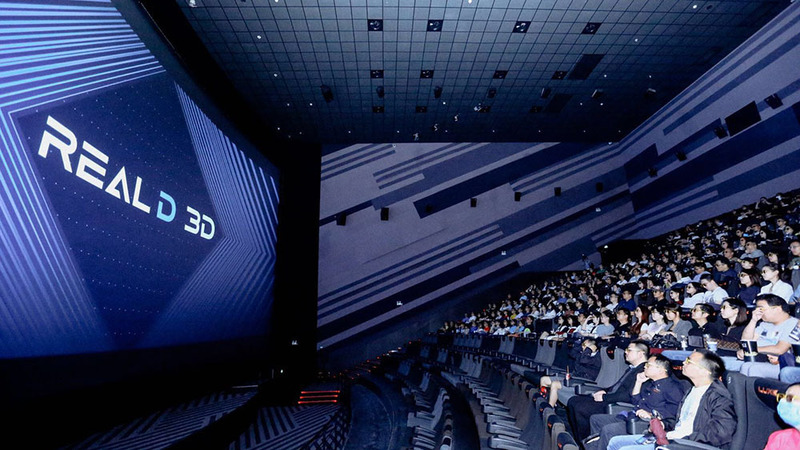 Globally recognized as the world’s visual technology leader, RealD pioneered digital 3D cinema and today has the world’s largest 3D cinema platform. RealD’s dominant market share is comprised of a network of theatres that include nearly 30,000 installed screens with a backlog of 3,000 additional contracted installations in 75 countries with over 1,200 exhibition partners. RealD is the world’s preeminent 3D brand, with well over 2 billion people having experienced a movie in RealD 3D. RealD has been recognized three times by Fast Company in their annual list of Most Innovative Companies.